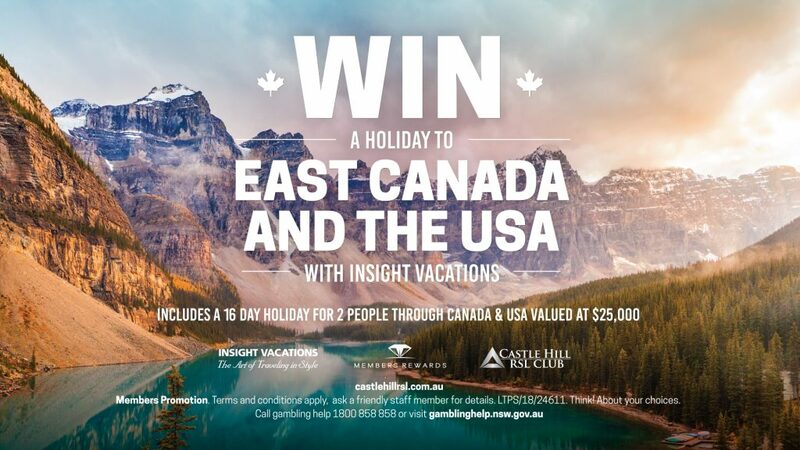 Win a holiday to East Canada and the USA with Insight Vacations. Includes a 16 day holiday for 2 people through Canada & USA valued at $25,000! Swipe your Members Cards for more chances to win. Drawn Sunday 26th August. Put your tickets in the barrel from 3pm. Draw commences from 5pm. Members Promotion. Terms and conditions apply. Please see Reception staff for full terms and conditions. LTPS/18/24611.